Using just the right color combination is essential to good design. But how do you get the perfect hue? Whenever I’m choosing colors on a website or in an email or on Canva, the color choices are always glaring and look terrible together. And then when I try to select something from the color wheel, I can never seem to make the color in my head show up on the screen. Even if I can pick one good color, how the hell am I supposed to choose a whole color palette that actually looks good?! My favorite method is to choose colors from a photo! When you use a photo for your color inspiration, you’ll automatically get pleasing combinations. I mean… if the photo looks good, so will the colors you grab for it. That’s science right there. It’s super easy to create your own color palettes with a free tool called Adobe Color. Check out this quick video tutorial to learn how to choose a perfect palette of colors from a picture and grab the hex codes you need to actually use those colors. Click the color wheel to grab your hex codes! P.S. 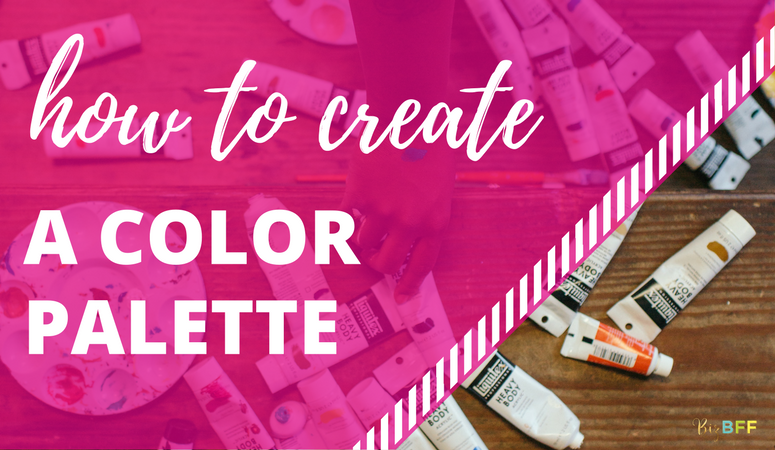 Once you’ve created your perfect color palettes, learn how to use them in my free Canva Crash Course! Sign up right here! Learn how to master Canva with this free 5-day crash course! Video lessons delivered right to your inbox. Awesome tips, Emily! Thanks for sharing! Thanks so much for this Emily – I’d forgotten how simple (and FREE) this tool is! Really helpful.